The Eight Extraordinary channels are amongst the most fascinating, ambiguous and clinically important aspects of Chinese medicine and Qigong. 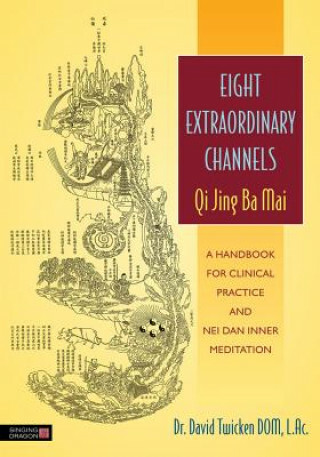 This book introduces the theory behind the channels, explains their clinical applications, and explores their psycho-emotional and spiritual qualities. The author also describes how to cultivate the channels through Nei Gong. As a practitioner of Chinese medicine or acupuncturist, the key to creating effective individual treatment plans is having a wide understanding of the channel pathways and the points on the channels. David Twicken provides treatment strategies, methods and case studies, offering a variety of approaches so as to give the reader a solid foundation from which to confidently create good treatment plans. Offering a historical perspective as well as modern insights, this book will be essential reading for novice as well as experienced practitioners.